CONSIDER THE RISK OF YOUR WORKPLACE? LOW - workers are NOT exposed to hazards that can cause SERIOUS injury or illness. MODERATE* - slightly higher risk of serious injury or illness. HIGH - workers ARE exposed to hazards that can cause serious injury or illness. HOW MANY WORKERS ARE ON SITE? You should consider the number of workers present when you are at maximum capacity (including visitors and guests). ANY OTHER CONSIDERATIONS WHICH MAY INCREASE YOUR RISK PROFILE? 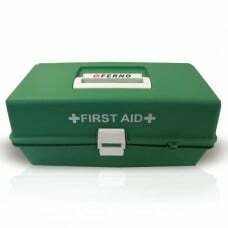 For example - extreme heat or cold, hazardous machines or substances. 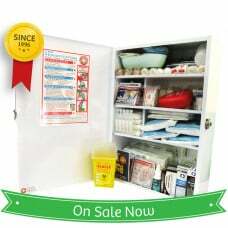 SELECT YOUR PRODUCT BELOW OR CALL us now for further advice. 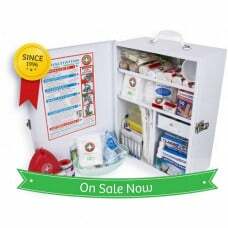 K2000PT Safe Work Australia Compliant - Portable First Aid Kit - SALE! 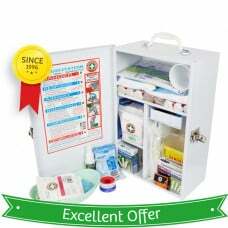 Our K2000 Safe Work Australia compliant First Aid Kit range ensures that you are covered f..
Our K2000 Safe Work Australia compliant First Aid Kit range ensures that you are..
Our K400 Portable First Aid Kit ensures that you are covered for low to moderate risk level wor..
Our K700 Wall Mountable First Aid Kit ensures that you are covered for low to moderate risk lev..
Our K430 Portable First Aid Kit ensures that you are covered for low to moderate risk level wor..
Our K800 Safe Work Australia Compliant First Aid Kit is designed for a Low to Medium Risk Workplace ..
Our K450 Portable First Aid Kit ensures that you are covered for High risk level workplace..
Our K901 Safe Work Australia Compliant Wall-Mount First Aid Kit ensures that you are cover..
Our K1011 Portable First Aid Kit is a big two tray top of the range Paramedic size for ser..
Our K1001 Safe Work Australia Compliant High Risk Wall-Mountable First Aid Kit is the biggest they g..
- Inform your employees where the First Aid Kits are and ensure they are properly trained to use the items within.